Dr. Radeck, known as “Dr. 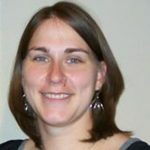 Bre” to her patients, graduated from Palmer College of Chiropractic in 2009. She received her BS in biomedical science from Marquette University in 2005. 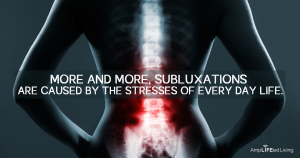 Dr. Bre utilizes several chiropractic adjusting methods, including: Palmer Package, Thompson Technique, Diversified, Gonstead, Activator, and more. Depending on a patient’s needs, her technique can be adapted from a “hands-on” to an “instrument assisted” approach, or somewhere in between. She is also trained in Kinesio Taping. Dr. Bre loves treating the entire family, but especially enjoys treating pregnant women and kids. She believes healthier kids lead to healthy families and a healthier community. Dr. Bre is also a member of the Wisconsin Chiropractic Association, Waukesha Business Alliance member, committee member of the Healthcare Education Subcommittee, and Medical Director for Ideal Weigh to Wellness, LLC (an Ideal Protein weight loss protocol). In her free time, she enjoys playing softball, fishing, boating, and playing with her dog – Bailey.